Lady Gaga released the title track from her upcoming album, “Born This Way”, two days sooner than planned. 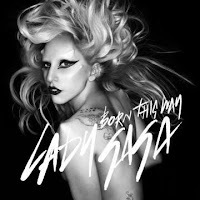 Full of catchy hooks and words of encouragement, “Born This Way”, is sure to be a number one single. The lyrics make fans feel accepted and that there’s no reason to question your place in this world. The pop powered beat makes it hard not to dance along or at least bop your head a little. Gaga promised her Little Monsters the best album of the decade and so far there’s no reason to doubt that. The release of this single only makes the wait seem longer. Listen to “Born This Way” here.